As part of its effort to improve communications with shareholders, the company is providing quarterly updates. The company ceased its SEC reporting in 2002 and the following information is presented for informational purposes only. It includes unaudited numbers from the company's current records and those made available by previous management for periods prior to 2009. Some information may be incomplete or need to be updated if additional information becomes available at a later date. Global Water Technologies. Inc. (GWTR.PK) is a small public company that identifies, develops and commercializes innovative non-chemical, filtration and other technologies to improve water efficiency. The company previously operated in the construction and sales of cooling towers and explored produced water solutions. For information prior to 2009, please see the company's stock history. Global Water Technologies owns 90 percent of Electric H2O, Inc., its subsidiary that produces the ED2000 line of products. ED2000 uses a proprietary controller and offset coil fitted around a pipe to deliver an oscillating electric field to treat water. The products have historically been sold for use on cooling towers to reduce fouling and the formation of scale on heat transfer surfaces. Electric H2O also combines such treatment with filtration, using centrifugal separators and an innovative, self-cleaning screen filter system. Electric H2O, Inc. has ongoing operations utilizing contract manufacturing and distribution that generates both domestic and international sales. Historically sales volumes have been minimal and uneven, resulting in poor economies of scale and a long sales cycle. Although revenues are still minimal, there is continued and growing interest in such non-chemical water treatment. The company believes it has excellent relationships with its suppliers (including one which has 10 percent ownership of the subsidiary) and is now positioned well to improve such operational efficiencies through increased marketing and sales efforts. The company has also started work to update the core technology. Global Water Technologies has also begun the process of identifying and developing new water technology opportunities through the formation of strategic partnerships and collaboration with other companies and organizations. This will allow the company to create additional value through the utilization of its contacts and ability to move quickly as a small company. Global Water Technologies has a small patent portfolio that includes U.S. Patent No. 5,951,856 for Water Hardness Reduction Through Interactive Molecular Agitation and Filtration. The patent was issued in 1999 and the 12-year maintenance fee has been paid. On January 11, 2011, the company was issued U.S. Patent No. 7,867,470 for the On-Site Manufacture of Sulfuric Acid. The company has also completed a patent application for the use of forward osmosis to minimize produced water brines that is under review by the United States Patent and Trademark Office. As a technology company, Global Water believes there are opportunities to create value for its shareholders by developing and licensing intellectual property. The company believes it has excellent legal representation for patent work and has begun to develop relationships with university and other research partners. However, the company has not recognized any licensing revenue from its patents to date and there can be no assurances it will do so. Global Water Technologies filed a Form 15 with the Securities and Exchange Commission in August 2002 to terminate its registration as a reporting company and it has not reported financial operations since that time. The company last filed federal income tax returns in 2005. In 2009, the company was notified by the Internal Revenue Service of two outstanding tax bills from 2005 and has paid one of those and is including the other in its current liabilities. Available financials for the period from 2004 (when the company emerged from bankruptcy) through 2008 suggests that no corporate income tax is likely to be due, since operating losses during that time were approximately $500,000 per year. Federal tax extensions for 2010 have been filed. In July 2010, the company retained a Certified Public Accountant to handle bookkeeping and prepare financial records. Statements for 2009 and 2010 have been completed and are currently being compiled by an independent accounting firm. The company has aggressively reduced its overhead so that it can operate most efficiently as a very lean organization and be positioned for profitable growth. Although the company has been successful in stemming its losses, it continues to face challenges from extremely limited financial resources for such growth opportunities. Raising additional capital and allocating it wisely are key objectives in 2011. Over the past two years, the company took aggressive action to restore its capital structure, which had seen its outstanding shares increase by a factor of 40, from 25 million in 2004 to 1 billion by the end of 2008. Through a series of legal settlements in 2009 and 2010, the company recovered and returned more than 20 percent of its common shares to the treasury. As of March 31, 2011, Global Water Technologies had 793,580,437 shares outstanding of its 1 billion authorized common shares, 574,521,145 free-trading shares and 174 shareholders of record. The company issued 1,000,000 shares in the first quarter to secure professional services. An additional 145,000,000 shares have been reserved for convertible promissory notes totaling $360,000 that have maturity dates in 2011 and 2013. As noted previously, the company is exploring additional funding for new projects that may result in the issuance of additional shares and a move to restructure the existing shares so they are not trading in fractions of a penny. The company believes this will benefit existing shareholders by improving the company's visibility to capital markets and providing better access to funding opportunities on favorable terms. The company also anticipates filing information with OTC Markets (formerly the Pink Sheets) so that its stock moves from a status of "No Information" to a status of "Limited Information" on their system. According to statistics from OTC Markets, such a move is generally accompanied by significantly higher interest and trading volume from investors. During the first quarter of 2011, Global Water Technologies stock traded between a low of $0.0007 and a high of $0.0016, with a close of $0.0008 on March 31, 2011. The stock ended the quarter unchanged year-to-date. Management continues to focus on developing the business of Electric H2O in a profitable manner and seeking new opportunities to identify and develop new water technologies. Ballast water treatment was identified as an area of interest in 2010 and the company continues to explore new technology solutions. During the first quarter, new regulations affecting the St. Lawrence Seaway were pushed back 18 months to 2013, altering the timeline for implementation in the Great Lakes. The company continues to monitor that market and research developments, including technologies it has identified in Canada and Australia. Global Water is also working to create value from its newly issued patent for the on-site production of sulfuric acid through demonstration of the technology in a pilot project. Global Water continues to collaborate with Agua Dulce, a Utah company that helped to start the research. Both companies are jointly seeking strategic partners and/or customers to construct a pilot plant. In January, the board members of Global Water had a unique opportunity to work in Qatar, through an unrelated event where they were guests of the 2011 Asia Cup. No company funds were spent on the trip, however, the experience did allow Global Water to establish contacts and explore opportunities in Qatar, which has one of the world's fastest-growing economies and very scarce fresh water resources. In addition, the company has also been exploring several new technologies and partnerships that may present opportunities for future business development. Global Water Technologies has settled all outstanding legal matters and is not a party to any litigation at this time. The company retains legal counsel in Denver and Indianapolis for securities and intellectual property matters. Global Water Technologies faces numerous risks in implementing its business plan. The company is a small entity with minimal resources and revenues. Since emerging from bankruptcy in 2004, the company's access to credit markets has been limited and it has been dependent on sales of equity securities and advances from directors to meet the majority of cash requirements. The company's prospects are subject to the risks and expenses encountered by start-up companies, such as limited management experience, uncertainties regarding the level of future revenues, the inability to budget expenses and manage growth accordingly, and the inability to access sources of financing when required and at favorable rates. The company's limited operating history and the highly competitive nature of the water technology industries make it difficult or impossible to predict future results of operations. 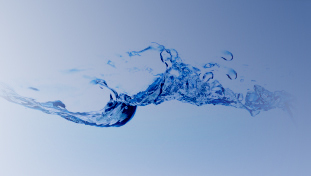 The water industry is a challenging environment in which to do business. It is highly fragmented at the local level, with variable conditions, needs and demands for water treatment technologies and service. At the same time, very large companies operate municipal water systems that are highly regulated and very capital intensive. The result is that the industry as a whole is very conservative and new technologies are difficult to implement. Any company developing new and innovative technologies also faces the risks that those technologies may not perform as expected or be commercially viable when moved from the laboratory and into the field. Market conditions and competing technologies may also make such technologies obsolete before they become profitable. Global Water Technologies trades on OTC Markets and is considered a penny stock which limits the number of investors willing to purchase the stock. Investing in micro-cap, small cap, and emerging growth securities is highly speculative and carries an extremely high degree of risk. Trading volumes and market prices on OTC Markets are often very volatile. It is possible that an investor's investment may be lost or impaired in its entirety.